​ “Really, if you haven’t tried any wines from the Finger Lakes in recent years, you are missing out." Grab the opportunity to get to know some of the best wines made in the US – and made in New York State! On September 24 you’ll have the chance to taste some of the top Finger Lakes wines from some of its most famous producers. The most lauded wines from the region are made from the Riesling grape. The cool climate grape of the Finger Lakes area is the perfect terroir for growing this versatile grape, which produces dry, semi-dry and sweet wines. We’ll taste 6 different Rieslings of all styles, including one sparkling wine. In addition to the Rieslings we’ll taste a dry rosé, a Gamay Noir (similar to Beaujolais), a Cabernet Franc and a Rkatsiteli, one of the oldest wine grapes known to man, with origins in Georgia (the country). The tasting will be guided by Tracey Dello Stritto, Executive Director of the Finger Lakes Wine Alliance. 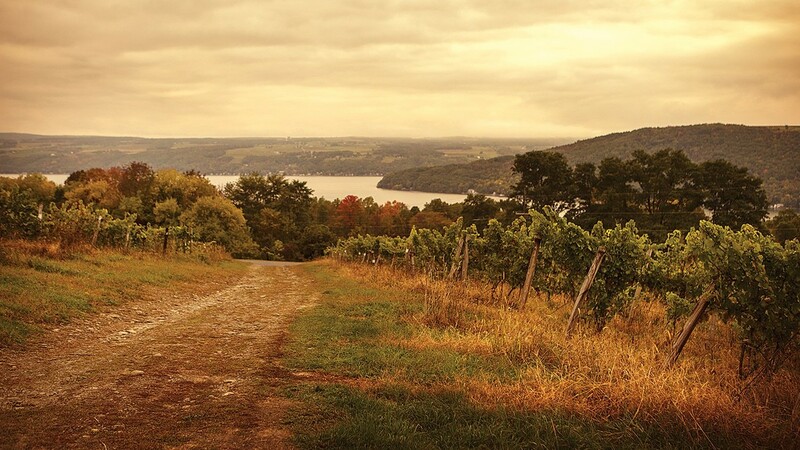 Also, from September 24 to 30, Pierre Loti Chelsea will host the Finger Lakes Wine Alliance. Wines from the Finger Lakes will be featured at the Pierre Loti Chelsea location (258 W 15 St at 8th Ave) as well as the Pierre Loti Union Square (53 Irving Place at 17th St) and Midtown (300 E 52 St at 2nd Ave).